If you are planning to travel anywhere within India or abroad, you better think of buying travel insurance before you embark on your trip. Travel insurance is easy and hassle-free and can be purchased online. Travel insurance provides insurance against unforeseen contingencies, inevitablesituationsor medical emergencies and provides peace of mind when you are travelling. There are many types of travel insurance policies and you can pick and choose one that suits you best. The types of insurance policies listed above are not exclusive and different types may overlap. 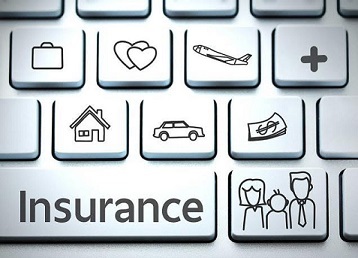 For example, a single trip family travel insurance policy could be bought for international travel and cover all members of the family, including children and senior citizens. 1. Cover for flight delays and cancellations: While travelling, if the flight is delayed or cancelled, the policy reimburses the costs incurred for accommodation during the waiting period. 2. Medical emergency and hospitalisation: In the event of a medical emergency of the insured person during travel, the policy will compensate the cost of medical treatment and hospitalisation expenses and also pay for ambulance service. 3. Trip cancellation or delay: All expenses arising due to cancellation of the trip or delays during the trip will be compensated by the insurer. Such expenses include hotel accommodation, in-between transportation, ambulance service, etc. 4. Legal liabilities and expenses: Any legal liabilities arising while travelling and legal expenses incurred on the same will be compensated by the insurer. So, in view of the multiple benefits offered by travel insurance, next time when you think of travelling, think of travel insurance.